This one hour program looks into two “mad as hell” scenarios. 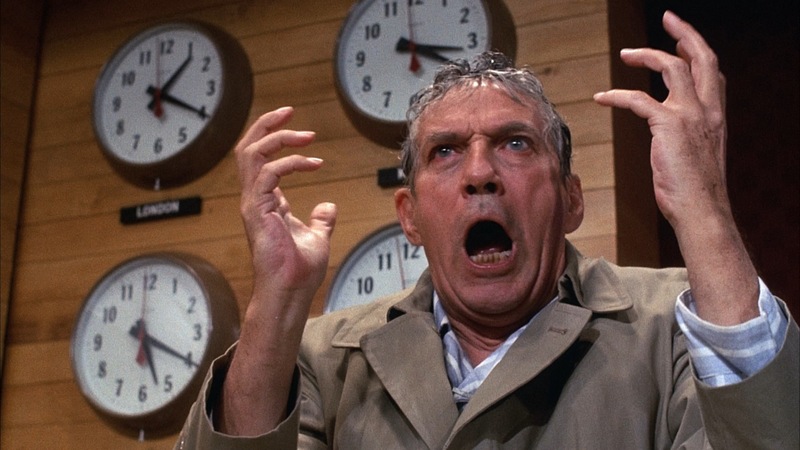 We talk with journalist Dave Itzkoff about MAD AS HELL, the making of NETWORK, Paddy Chayefsky’s colorful personality, and why something that seemed so absurd forty years ago became so real. We also investigate a controversy at Open Letter Books which may reveal an emerging ecosystem of smaller publishers being abused by agents on the make. That segment features Open Letter’s publisher Chad Post, Scott Esposito, and Michael Orthofer. The second segment features Dave Itzkoff, who is most recently the author of Mad as Hell, a book that chronicles the making of Network. Guests: Dave Itzkoff, Chad Post, Scott Esposito, and Michael Orthofer. Subjects Discussed: The Howard Beale of translated literature, Open Letter Books, Oscar van Gelderen, Arnon Grunberg, why success in other countries can’t be easily repeated in the United States, relative success of translated literature, Nordic noir, Pauline Kael decrying Paddy Chayefsky’s righteousness, the New York Times Book Review, whether or not Itzkoff is angry, the emotional qualities of buildings, Paddy Chayefsky’s early dramaturgical assaults on television, the comforts of cynicism, The Hospital, the possibility of Network becoming a more earnest movie in earlier drafts, Chayefsky attending television boardroom meetings in sweatpants, what Chayefsky could get away with because of his esteemed reputation, Walter Cronkite, the tendency for people to believe that television was an infallible medium in the 1970s, Chayefsky’s extraordinary creative control, Shaun Considine’s Mad as Hell, Chayefsky’s ability to work the system, Chayefsky exploiting a clause during The Bachelor Party to live in extraordinary affluence, Chayefsky’s demands for ultimate authority, Arthur Penn, the problems that emerge when firing too many directors in a short period of time, Chayefsky’s meticulous scripts, intransigent self-editing, Chayefsky’s self-flagellation, resisting studio notes, Chayefsky’s notes to himself, how the tight deadlines of television contributed to the hastily devised third act of Marty, Chayefsky’s presence on the set and during the casting process, the Paddy light on Network, Chayefsky’s intense stare, whether or not Chayefsky needed actor-friendly directors like Sidney Lumet, Lumet’s rehearsal process, getting access to Kay Chapin’s diary, calling around vs. looking through papers, Chayefsky’s letters of apology, Faye Dunaway’s difficulty, Itzkoff’s inability to get access to Dunaway, finding Peter Finch’s daughter, Delbert Mann, Chayefsky’s relationships with directors, the battle between Chayefsky and Ken Russell on Altered States, the ultimatum that Sidney Lumet gave to Faye Dunaway to ensure her casting as Diana Christensen, the appeal of an unlikable character to Dunaway, the role of women in the workplace in the 1970s, the flack that Barbara Walters got for a $1 million salary, Ned Beatty lying like a snake to get the role of Arthur Jensen, Jimmy Stewart considered as Howard Beale (with accompanying impression), actors snapped up on the basis of a single audition, why New York locations were hard to find in 1976, stairwells that link two different cities, the New York Stock Exchange’s diffidence in allowing Chayefsky’s anti-corporate speeches to be filmed there, recreating a functioning television studio in Toronto, unions, romanticizing decrepit 1970s New York, filming second-unit shots of people shouting “I’m as mad as hell!” in abandoned buildings, the difficulty of Peter Finch delivering the “mad as hell” speech, Lumet’s desire to work as rapidly as possible, Woody Van Dyke, Al Pacino (with accompanying impression), extraordinary claims of Robert Duvall shouting at random strangers and mooning people from a tall building, whether character is enough to serve as a second source, behind-the-scenes controversy on the William Holden/Faye Dunaway love scene, getting quotes from Bill O’Reilly and Keith Olbermann, Olbermann’s obsession with Network, O’Reilly’s co-opting aspects of Howard Beale for his show, how Network‘s language was changed for television, why Chayefsky was allowed three “bullshits” on network TV, ruminating over the regrettable idea of Aaron Sorkin as Chayefsky’s heir, and whether there can be a Chayefsky today. Correspondent: Dave, you’re not looking terribly indignant, but how are you doing? Itzkoff: I have nothing to be angry about. Itzkoff: But the day is young. Correspondent: The day is young? Itzkoff: I mean, it’s only 11 AM. It’s a Tuesday. Correspondent: How much rage do you typically go through in a 24 hour period? Itzkoff: Actually, it can be a lot. It really depends on my morning commute. I take the subway. That is definitely a source of a lot of ire and provocation, depending upon how crowded or empty my train. Correspondent: Yes. But for now, ensconced within the New York Times Building, you are calm and sanguine. Itzkoff: Exactly. As the building tends to do to one, yes. Correspondent: Really? This building has an outside power? A karma? You can levitate it like the Pentagon? The Pentagon like Abbie Hoffman? Itzkoff: (laughs) It seems to have a calming influence. Correspondent: Well, let’s get into Paddy Chayefsky and Network, the film that this book, Mad as Hell — not the only book, as I have pointed out. There’s another book here called Mad as Hell that also deals with Paddy Chayefsky on the table. Correspondent: So it’s not just you. Anyway, Network was actually not Paddy Chayefsky’s first dramaturgical assault upon television. In 1955, and you did not note this in your book, Chayefsky wrote a script called “The Man Who Beat Ed Sullivan.” And this is about an Ohio TV host. He was going to match the length of a three-hour talent show in this script that he wrote. You do mention The Imposters, this pilot that Chayefsky wrote in 1969 about a fictional television executive who had the wry name of Eddie Gresham, which I thought was funny. And it was not until Chayefsky started hanging out with Richard Wald and attending various television boardroom meetings that he came upon Network. I’m curious about this. I mean, he drew from his life experience for The Bachelor Party and for Marty. Is it safe to say that he needed experience for Network before he could actually really take on television in this indelible move that we continue to quote and continue to reference today? Itzkoff: Right. Well, you know, in some ways the book is trying to make the point — I mean, I hate stating the thesis so bluntly like this, but his whole life’s work, in a sense, is bound up in Network. And, yes, it is nominally and very much a story about television and people who inhabit television. But it is also a story about everything that ever upset him or irked him or bothered him in his life. And to some extent, a story that he was rewriting and rewriting not only in works that had to do or were set in the world of television. But if you look at some of the other early television plays, going all the way back to Marty and even works that predate Marty, you will see there is a recurring idea or a theme about characters who have a kind of simmering rage. People who are unfulfilled or can’t express themselves and then are often not always given an opportunity to cut loose or say what they really think and it is explosive. So that is an idea that he refines and revisits. It comes up not only in obviously his drama, but in his own life. That he’s somebody who often feels that the ideas that he is trying to communicate to his audience are not being received or they’re not getting in the way that he meant them. And that frustrates and annoys him. And that makes him an angry person. Not unfulfilled, but he often feels that he’s falling short of whatever goal he set for himself. And so Network becomes the vehicle for all of this, compounded by a feeling that media itself and a medium that he came up with was at a real crossroads. Something could potentially happen, at least in his lifetime or in the era that he was writing. Something might happen that could send it in a very different direction. And that kind of corruption was representative of a lot of other things that were happening in life in that moment. Correspondent: Based off of your research, is it safe to say that perhaps the cynicism that is attached to Network came from having to silently observe all of these boardroom meetings and these people moving money around? Going ahead and gutting any kind of credible programming, the kind of wonderful drama, the news that Chayefsky himself championed? Itzkoff: I think that that was something that was even refined over time during the writing of this script. I mean, you reference a situation that happens in the book where he does visit both NBC and CBS just to do research for a movie about television. When he met with Richard Wald, who was then the President of NBC News, he told Wald he didn’t know yet whether he was going to write something that was maybe more a kind of “day in the life” piece that would have lots of moving parts and characters. Almost in the way that The Hospital was. Except in just a slightly different setting. Or maybe he would write something that was a little more satirical. And Wald says now that he had a pretty strong sense that that’s the direction Chayefsky was going to go in. But if you want to call it cynicism. Correspondent: A refreshing cynicism, I would say. Correspondent: I mean, I watched the movie twice. I had to see it a second time and I hadn’t seen it in years. And it just bathed me in such a wonderful, exuberant cynicism. Maybe skepticism perhaps is the better term. Itzkoff: Sure. And it’s fascinating. You can look at earlier incarnations of the script and see that there were moments where it might have gone in more earnest directions. I’m sure we’ll get into some of the nitty-gritty later, but characters who we now think of as having mean streaks or really were just going for it all, they could have been much nicer people. It could have had a happier ending. Something about him told Chayefsky this was not really how life worked. 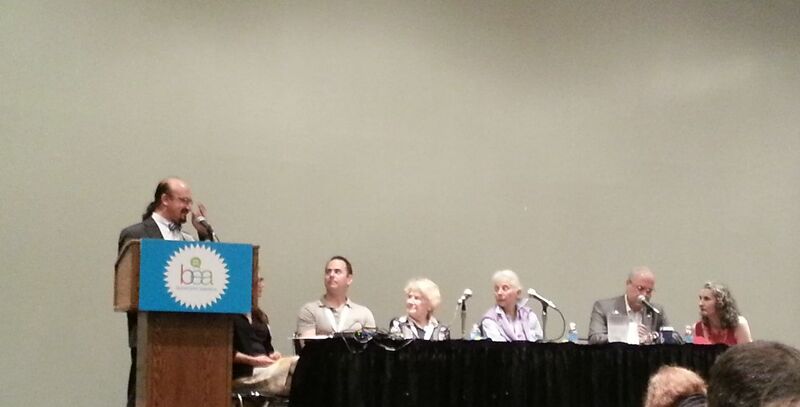 In this final BEA dispatch, we report on a panel dealing with foreign literature and editing, describing the difficulties of translation and revealing Chad Post’s revolutionary idealism. On Friday afternoon, mere minutes after the frazzled feline star of a viral video had been flown in from Morristown, Arizona and dragged against its will onto the Javits floor to receive the kind of superstar adulation that literary geniuses toiling for decades would die for a tiny piece of, three dozen people met in the rank underbelly of a cold corporate convention center to contend with issues of translated literature. This was the clearest indication I have ever seen of what Chad Post has identified as the “three percent problem” — whereby a mere 3% of all published books in the United States are works in translation. The underattended panel made me hang my head in shame. I had not known that Grumpy Cat was at BEA, nor did I care to meet the animal or wait in line upon learning of this intelligence. There were more meaningful ways to fritter away two hours of my life. Indeed, I had encountered Open Letter‘s Chad Post on the loud floor just before the panel and personally apologized for not doing enough for translated literature. He then told me about an insane man in Italy and secured my attendance. There were several translators and foreign language enthusiasts in the crowd, including Michael A. Orthofer and Scott Esposito (both tireless proponents for literature in translation), but the panelists pointed out the paucity of editors in the audience and seized upon this absenteeism to talk freely. Bernofsky pointed to FSG’s Elisabeth Sifton as an editorial paragon. Sifton gave Bernofsky carte blanche to translate Gregor von Rezzori however she wanted. He wasn’t especially edited in German. So he had wanted his English translation to be well edited, even if it meant obliterating whole pages and paragraphs. I was not as well-versed on translated literature as the assembled crowd, but I was surprised by how liberal the editing process was. Post described going much further on a memoir that had a plodding section set in the 1980s. The ten page section began with the sentence, “I remember nothing good from those years.” Post felt that cutting everything that followed that sentence was an improvement. Victoria Wilson has been an editor at Knopf for forty years. And she insisted that cutting text has little to do with saleability, but how the book reads. “A book is going to sell if it’s 150 pages shorter,” said Wilson, who was also careful to note that she had published William Gass for twenty years. This was all constructive chatter, but the panel’s fireworks really started when Polish crime writer Marek Krajewski began speaking with gusto through a translator. Bernofsky noted that she had just done a new translation of Jeremias Gottheif’s The Black Spider for NYRB Classics. Because Gottheif’s work was a horror story, the editing was much different from what she had usually experienced. There was a question concerning changes in publishing over the past 40 years, in which the publishers were blamed for the drop of translated fiction in bookstores. “You can’t just look at the publishers,” noted Wilson. “The chains changed everything in terms of their ordering.” In other words, it doesn’t really matter whether a corporate behemoth owns a big publisher or not. The fate of translated literature in the States is entirely dependent on what the bookstores order. And while the recent health of independent booksellers has suggested new prospects for translated fiction, without massive orders from chains, it is often difficult for these books to be published. This reality was simply too much for Chad Post, who began talking fast and angry. There were some faint suggestions that Post was prepared to overturn the table, fire a pistol into the air, and demand the rightful liberation of the book industry. I squinted to see if the veins on Chad Post’s neck had popped out. I waited for Post’s instructions to don the balaclava carefully folded in my left inner pocket. I waited for Post to announce the Occupy Javits movement. With this suicidal statement in full swing, Post’s phone began to ring on stage. Mitch Albom’s people were coming to shut the wild-eyed revolutionary from Rochester down. Post was referred to as “that angry young man” by the next questioner. To be clear, Post was not all froth and spittle. I could relate very much to his fury. We live in strange times when Amazon Crossing is the number one American publisher for translated fiction. As Post pointed out, it isn’t easy to secure advocates for translated work when the pitch is “Here’s a great book about a woman in Latvia who is depressed.” But perhaps with more passion, we’ll work out the kinks and expand the egregious percentage.